In a new analysis, Rhode Island general treasurer Seth Magaziner projects the revised public cost for a new Pawtucket Red Sox (Class AAA; International League) ballpark to be $92 million over 30 years. A revised PawSox ballpark bill was recently approved by the Rhode Island General Assembly, an action that came following a process that saw House Speaker Nicholas Mattielo modify legislation that was previously approved by the Rhode Island Senate. In the process, state guarantees backing the bonds were removed, which had left questions about its effect on the borrowing costs for the parties involved in the project. The latest projections peg the baseline cost of the final stadium plan, should the PawSox agree to it, around $900,000 per year more than the estimated annual cost of legislation passed by the state Senate in January — which would have had the state guarantee ballpark debt — to lower interest payments…. “The total cost to taxpayers may be substantially less than this projection due to the Pawtucket Redevelopment Agency’s ability to use excess revenues to buy back the bonds — potentially saving millions in interest,” the memo added. The team’s share of projected costs on the new analysis was not immediately available. The PawSox have been noncommittal about the legislation thus far, and have said that they will meet with the city to discuss the plan. In addition, the bill still has to be approved by Rhode Island governor Gina Raimondo, who has yet to reveal whether or not she intends to sign the legislation. The PawSox will have a major decision to make about their future, as the club’s owners have been talking about a new ballpark with Worcester, MA officials. 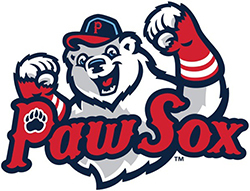 Under the Rhode Island legislation, the PawSox would make a $41 million contribution, with the state paying $26 million and the city allocating $18 million. In addition, the team would pay $12 million after approval of the plan. Should it move forward, the new ballpark would be constructed at the site of an Apex department store in downtown Pawtucket, serving as a replacement for McCoy Stadium.